indulgent Egyptian Lover vocal hooks on offer as well. When speaking about the record, Broussard said “We’ve been working together for 10 years on these two albums, 1984 and 1985 are my favourite albums ever. I poured a lot of money into these two albums over $100,000 and I’m very satisfied with the outcome.” The timeframe and financial investment put into this album and the previous one are definitely to be respected, and it no doubt shows in the final product, especially when compared to some albums put out in todays ‘mass-production-factory’ like state of music. Available on streaming platforms, in digital stores and as a double 12″, 1985 will also be linked to a run of shows that will find Egyptian Lover perform in London, Paris, Amsterdam, Lyon, Brussels, Barcelona, Athens, Lisbon and others. 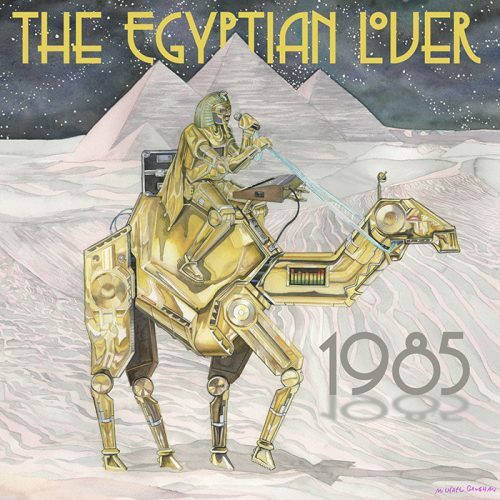 Egyptian Lover’s 1985 LP is out now on his Egyptian Empire Records imprint.